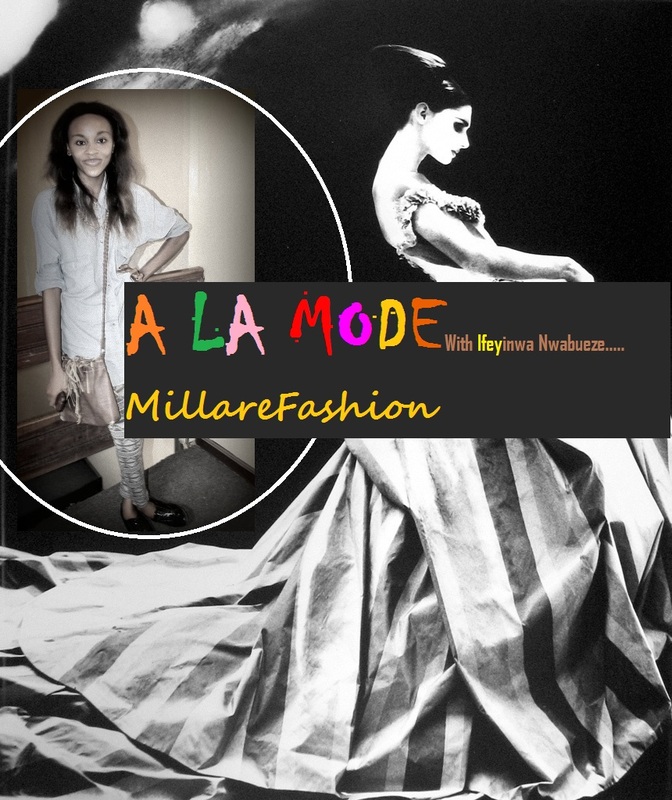 MILLARE Fashion: 'A La Mode' With Ifeyinwa Nwabueze! Transforming Your Campus To Your Runway. 'A La Mode' By Ifeyinwa Nwabueze Transforming Your cCampus To Your Runway. CAMPUS FASHION. HIGH STREET. BEAUTY. TEENAGE VOGUE. MILLAREFASHION. 'A La Mode' With Ifeyinwa Nwabueze! Transforming Your Campus To Your Runway. IIfeyinwa Nwabueze, a 20 year old, final year student of the Department of Mass communication in University of lagos Nigeria, have always had a passion for fashion! When I first met her, I was thrilled at her effortless style and delicious sense of humor. Her crazy love for writing and creative thinking endeared her to me and I immediately wooed her to share her special style touch with us at Millare. Ifeyinwa is the 2013 Winner of the First Edition of "Unilag Style on Campus" competition. 'A la mode' is a column for those who are passionate about the latest fashion styles and trends on campuses. This column allows students and other young adults to view photographs of what their peers are wearing around campuses and gain valuable insight and tips to incorporate these looks into their own college fashion wardrobes. Make your campus your runway!